Concerns have been raised about whether Australia adequately protects human rights given multiple reports of abuses, including mistreatment of juvenile detainees. Australia’s record of human rights protection in areas such as Indigenous people, asylum seekers and freedom of speech are perennial topics of debate. The focus of these discussions is now shifting to whether Australia can take steps to establish a stronger legal framework for protecting human rights. One reason for this is Australia is in the final stages of defending its record in a bid to secure a seat on the UN Human Rights Council. Another is that Australia’s recent experience on human rights is beset with deep flaws and inconsistencies. 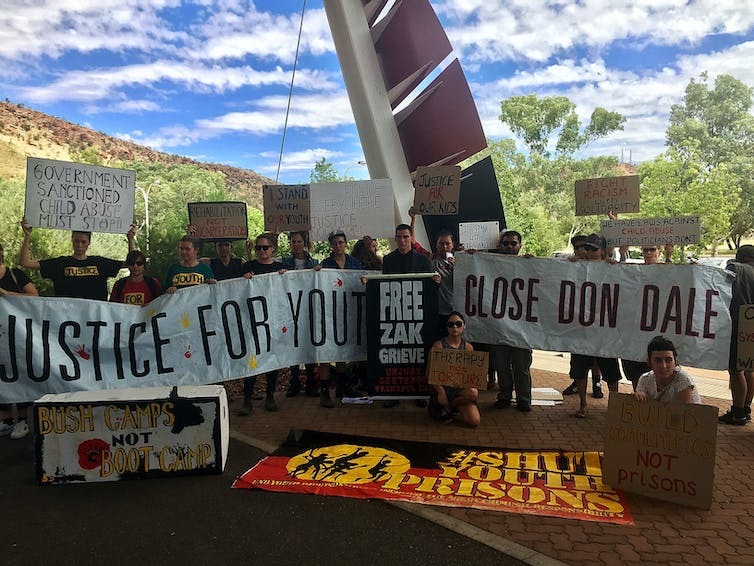 Concerns have been raised about whether human rights are adequately protected in the wake of reports of mistreatment of juvenile detainees in the Northern Territory, the endemic issue of elder abuse, and the startling prevalence of modern slavery in Australia. Each of these issues has prompted federal inquiries. And there are still many more human rights issues that have not moved the government to act. These include the treatment of asylum seekers at regional processing centres, and the inexplicable jailing, sometimes for up to ten years, of people charged with crimes for which they are deemed unfit to stand trial because they suffer from mental illness. The outgoing president of the Australian Human Rights Commission, Gillian Triggs, was right when she said Australia’s human rights record is “regressing on almost every front”. Another disturbing trend is the speed with which Australian parliaments are enacting laws that diminish human rights. In 2016, the chief justice of the New South Wales Supreme Court, Tom Bathurst, found 52 examples of laws in that state alone that impinged on the presumption of innocence. In February this year, the Institute of Public Affairs think-tank identified 307 laws that infringed just four rights: the presumption of innocence, natural justice, the right to silence, and the privilege against self-incrimination. Another 2016 study found 350 current laws that infringe democratic rights such as freedom of speech. Against this backdrop, many argue the time has come for Australia to adopt a national charter of rights. Australia is the only democratic nation in the world without such a national law. The idea has been gaining traction, particularly at the state and territory level. The Queensland government recently announced it would enact a human rights act, based on the ACT and Victorian models, which have been in force for 13 and 11 years respectively. There are also pushes for NSW and Tasmania to adopt such legislation. These developments raise the questions: if a charter or human rights act was to be enacted at the national level, what would it look like? And how would it protect human rights? Our new book, A Charter of Rights for Australia, discusses what such a charter would look like at the national level, and explains how it could benefit Australians. The starting point should not be a constitutionally entrenched bill of rights in the vein of the US Bill of Rights. Instead, a charter of rights for Australia should be enacted by parliament as ordinary legislation. This would have the advantage of flexibility: future parliaments would be able to update the charter as needed to match changing community values and expectations. A charter of rights in this form would not transfer sovereignty from parliament to the courts, and would not give courts the power to strike down laws. Rather, following the models adopted in the ACT, Victoria and the UK, the courts’ role should be modest, limited to functions such as endeavouring to interpret legislation consistently with human rights, and identifying laws that breach human rights and which parliament should consider again. This model puts the focus on improving human rights protection by way of parliament making good laws and government agencies applying those laws fairly. One useful feature of the ACT and Victoria charters is that parliamentary committees scrutinise proposed laws for compatibility with human rights prior to being passed. For example, in 2014 alone, the ACT government moved almost 100 amendments to seven bills in response to comments and suggestions made by its human rights parliamentary committee. The existence of a charter of rights can make it more likely that human rights concerns are raised – and fixed – before a law is passed. The primary responsibility for ensuring human rights are protected under a charter should fall to the government, rather than the courts. The Australian Federal Police, for example, would have day-to-day responsibility for applying human rights in protecting the community from crime and safeguarding the rights of the accused. This would mean that if the police chose to detain you as part of an anti-terrorism operation, it would be their responsibility to ensure you are treated humanely while detained. And the charter would provide for consequences should they fall short. Finally, like instruments such as the Universal Declaration of Human Rights, a charter of rights could also have a symbolic force that would promote important values like freedom, community responsibility and cultural diversity. One of the most important contributions a charter of rights can make is not the benefit it brings to the small number of people who succeed in invoking rights in court. Rather, its main value lies in how it can be used to educate, shape attitudes and bring hope and recognition to people who are otherwise powerless.